The BIG LUNCH! Our hugely popular community-wide and FREE event returned this June! Approximately 250 people filled the Railway Gardens on Sunday 3rd June for the 'Big Lunch' - the most successful event yet! We were blessed with glorious weather and were delighted to see so many families from all communities in and around Sturminster turning up with their picnics, having fun on all of the free stalls and activities, mixing and getting to know one another. It really was a special and very happy day for the town. Huge thanks to everyone who supported the event, particularly Sturminster Co-op who so generously donated ice cream for over 700 free ice creams (! ), the WI who provided huge amounts of delicious free cake and tea for everyone, to the Venture Scouts who worked so hard in the heat - and who were just delightful to work with - helping with the 'horse racing' and 'hula hooping', Porterhouse Balloon Empire for the incredible displays and free balloons for the children, and to The Exchange who have also been incredibly generous. 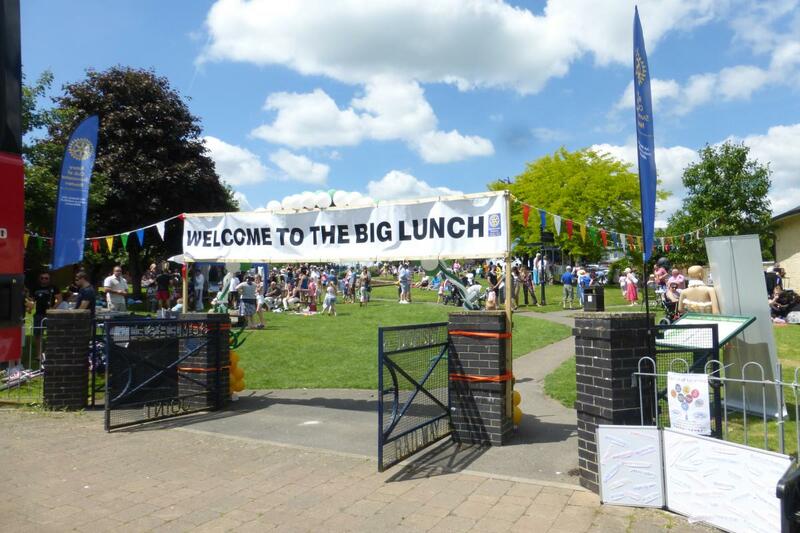 The 'Big Lunch' could not happen without all of the support it receives from organisations and businesses in the community. We are very grateful to you all. Thank you. If you would like to help (in any way) with community-boosting events, such as the Big Lunch, we would love to hear from you! Please do get in touch on Facebook (/SturminsterNewtonRotary) or by using the 'contact us' form on our website.